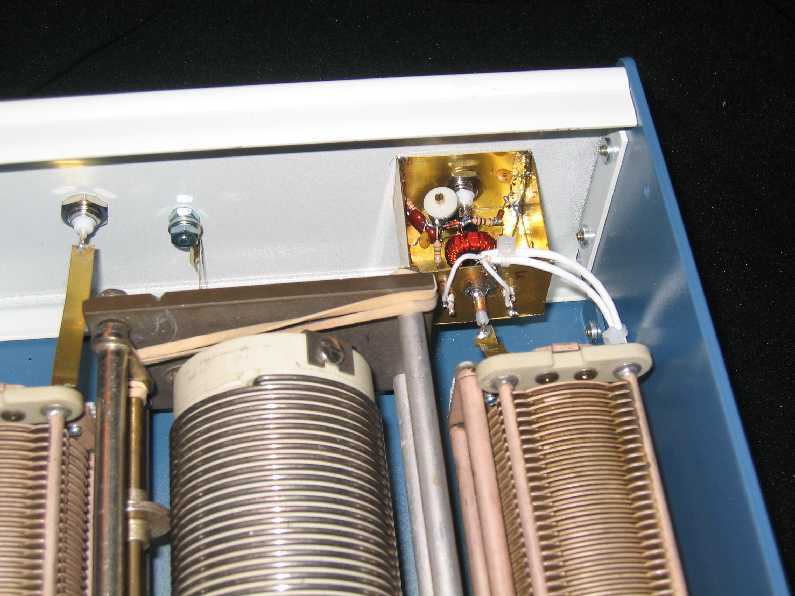 I have been accumulating parts from ham swap meets for several years for a medium power antenna tuner. 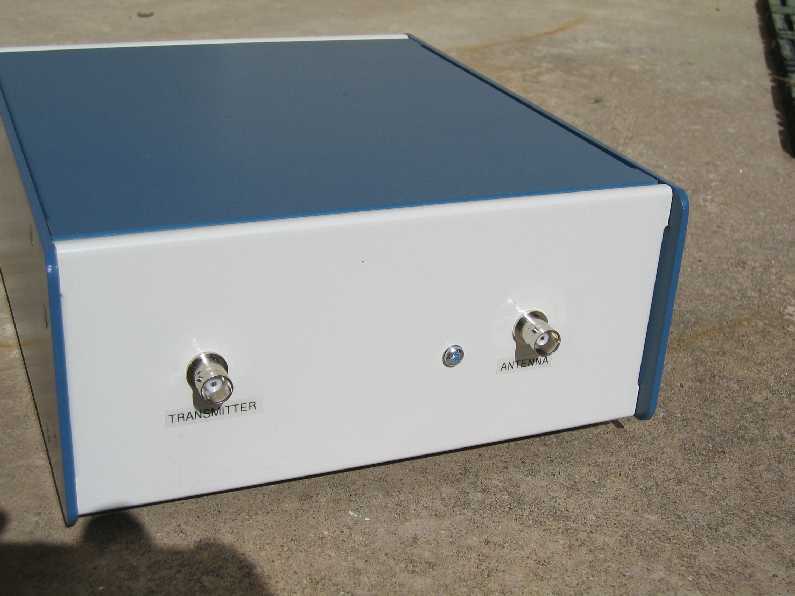 The tuner is a high pass T-network tuner that will probably handle 500 watts. The tuner is made entirely from surplus parts excluding the cabinet and knobs. Photos A and B show the front and back of the tuner while photos C, D, and E show the inside. 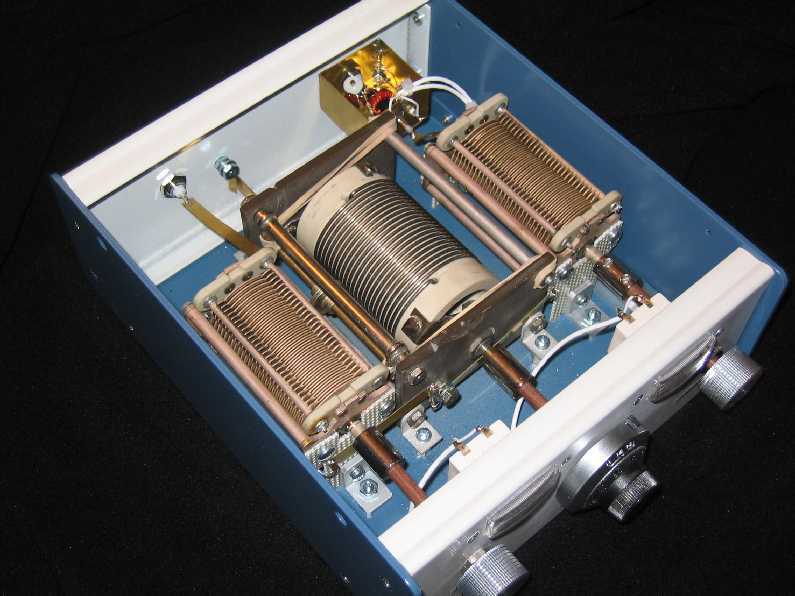 The roller inductor has a maximum inductance of about 15 uh and the capacitors have a maximum capacitance of about 300 pf. The roller inductor had poor tracking because of poor springs so rubber bands were used in place of the springs. I will probably replace these with springs at some point. The tuning action is very smooth. As a test, I matched my 40/80 meter trap dipole on all bands from 160 meters to 10 meters including the WARC bands with no problems.